Star Citizen Alpha Patch 2.2.1 has been released to LIVE and is now available for players! This patch includes key fixes to the 300 series ships and a number of server and client crashes. Your launcher should show "2.2.1-328656" as the client version. It is strongly recommended that players delete their USER folder for the Public client after patching, particularly if you start encountering any odd character graphical issues or crash on loading. The USER folder can be found (in default installations) at C:\Program Files\Cloud Imperium Games\StarCitizen\Public. Please review our current list of 2.2.0 Known Issues FAQ, and take full advantage of our Issue Council area of the Community site to report any bugs you encounter, as well as contribute to other players submissions. And the full patch notes can be found here. And don’t forget the Aegis Sabre and Xi’An Scout are still available in the pledge store through March 14th. 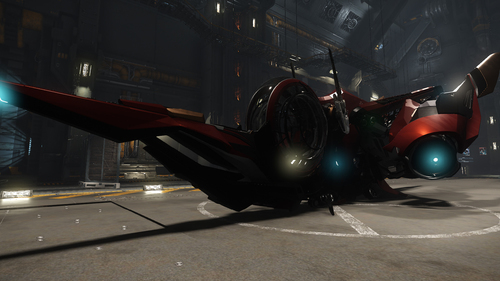 Remember: we are offering these pledge ships to help fund Star Citizen's development. The goal is to make additional ships available that give players a different experience rather than a particular advantage when the persistent universe launches. Ship types sold during limited sales will be available to earn in the finished game.